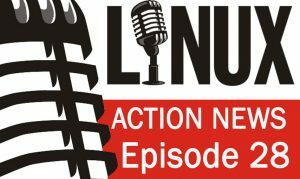 Fedora goes modular, Firefox makes a quantum leap & a Linux classic makes a come back. Plus a big moment for the Kernel, Red Hat goes ARM & OpenPlus has a backdoor with a twist. Fedora 27 released — The Workstation edition of Fedora 27 features GNOME 3.26. In the new release, both the Display and Network configuration panels have been updated, along with the overall Settings panel appearance improvement. There’s an option for people who don’t like change — a fork of the Mozilla code-base pre-Servo/Rust… Basically for those not liking the direction of Firefox with v57 rolling out the Quantum changes, etc. Ubuntu Unity 7 flavour might be on the horizon — A proposal to create a new community Ubuntu flavor which uses the Unity 7 desktop by default is gathering support within the Ubuntu community. RISC-V support may be coming to 4.15 — RISC-V is hoping to see mainline with Linux 4.15. We’ve known for a while now about their mainline ambitions for 4.15 and a pull request was sent today, but it remains to be seen yet if Linus Torvalds will pull it for this merge window. Red Hat announces ARM version of RHEL — Red Hat Enterprise Linux 7.4 for ARM, the first commercial release for this architecture. Oneplus backdoor — OnePlus accidentally left in place a diagnostic testing application made by Qualcomm. After decompiling this application, he discovered that it can be exploited to grant root access—effectively acting as a backdoor.